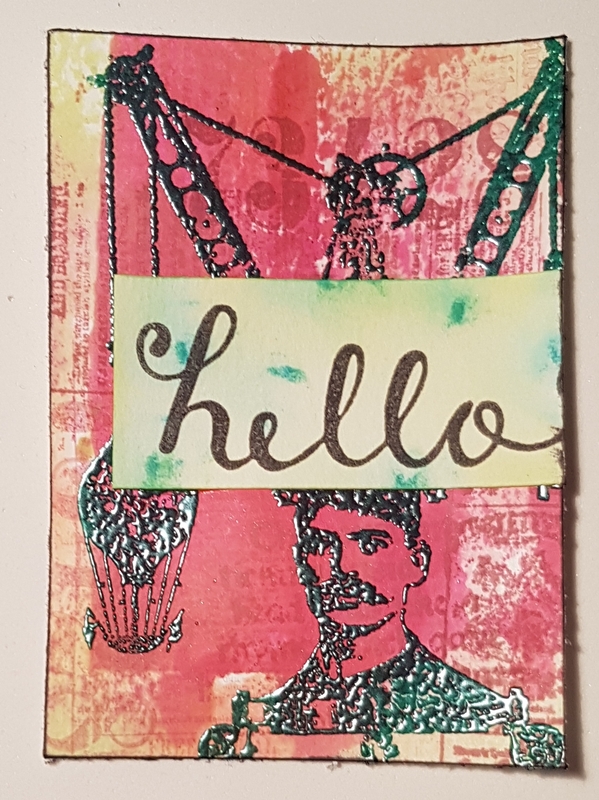 Here are the other two atcs I made which were part of the project I shared on Wednesday. This is the starting point for the bottom two cards. I decided for both of them to add a sentiment to them where the stamping had not quite worked. 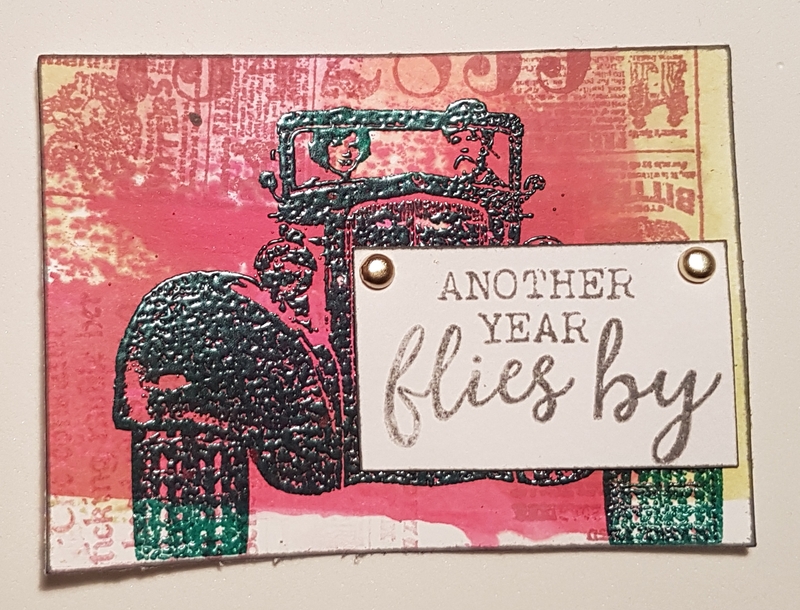 The second one I think I will end up turning into a birthday card topper, but for now here it is as an ATC.